Joanna Moorhead. 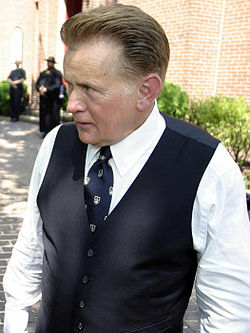 Martin Sheen։ Being a dad (անգլ.). «The Guardian» (մարտի 25, 2011). ստուգված է՝ 7 ապրիլի, 2011 թ., արխիվացված օրիգինալից՝ 25 փետրվարի 2012. Andrew O'Hehir. Talking about God with Martin Sheen (անգլ.). Salon.com (սեպտեմբերի 18, 2010), ստուգված է՝ 11 ապրիլի, 2011 թ., արխիվացված օրիգինալից՝ 25 փետրվարի, 2012 թ.